Welcome to the most talked about Fitness Center in Bergen County! Located in Tenafly New Jersey, ZING was founded by two long time fitness enthusiasts, Laurie Spiropoulos and Lior Haramaty. Realizing there was a need for a high-end spin studio in the area, they decided to open their own, dedicated exclusively to spinning. Expanding their boutique to include group fitness classes created a complete à la carte fitness experience like no other. 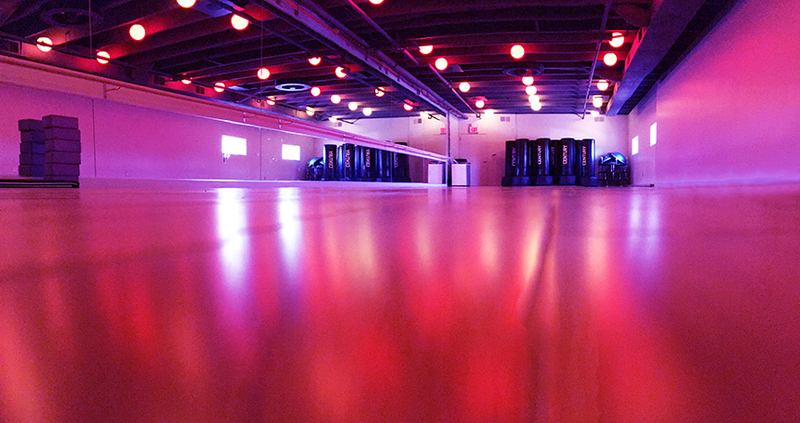 This modern state of the art indoor cycling studio is over 1,600 square feet. Equipped with top-of-the-line Schwinn AC Performance PLUS bikes with the Echelon MPower Console which provides RPM / Cadence, Power measurements and Heart rate (with a compatible HR sensor). Every rider enjoys plenty of comfortable space with an excellent view of the instructor. As a ZingCycle rider you will experience the Dashboard, our amaZing performance tracking system, which if you choose, displays your stats on big screens. Every rider receives a post-workout class summary email. Track your improvement with every class by logging into your online account! Our additional 1,200 square foot ZingroupX studio features a wide variety of fitness classes designed to complement spinning. ZingroupX offers barre, yoga, kickboxing, HIIT, core and dance classes to name just a few! Featuring a customized audio system, fast-acting climate control, and amaZing lighting, ZING Fitness Studios are geared up for fitness with style! We boast the best instructors! Each and every class will inspire, motivate and challenge you for a most amaZing workout experience.